Building relationships built on trust, reliability, and affordability in all-things-insurance in Mid County since 2003. We’re proud to have assisted in providing auto, home, life, health, commercial insurance & more to thousands of clients in the Golden Triangle area. Help our family help protect your family, business, and/or assets in the event of a disaster, or in just every day life, providing confidence, one-less thing to worry about in today’s busy & stressful world. We are an Independent Agency locally operated in Port Neches, Texas. We represent multiple carriers and we do the shopping for you to the find the lowest rates and best coverage possible. Thank you for giving Landry Insurance Agency your time & business! Not sure which policy you need? Contact Us Today! Thank you Landry Insurance for all you have done… Even though you are swamped with Harvey claims and have a limited staff, you all have been very helpful and we appreciate Landry Insurance. Great insurance agency. Very helpful and friendly staff. Always a good experience. One of the best agents around…caring…intelligent. .helpful. 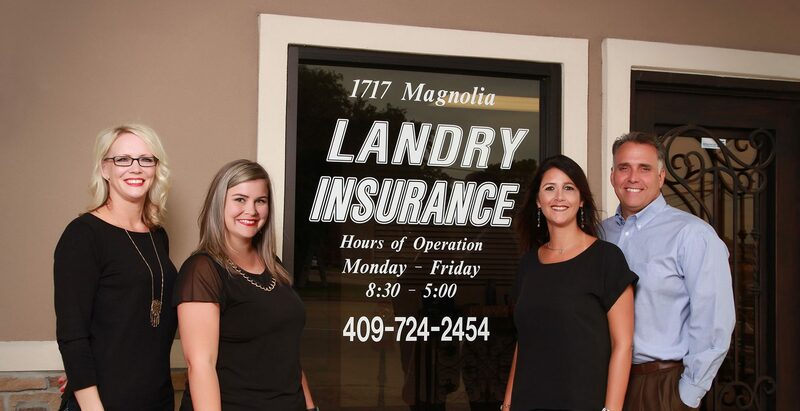 Feel free to leave us a message, send us an email to staff@landryinsuranceagency.com, stop by our office, give us a call at (409) 724-2454 or fax us at (409) 724-1554.